App users, click here to view the full story. 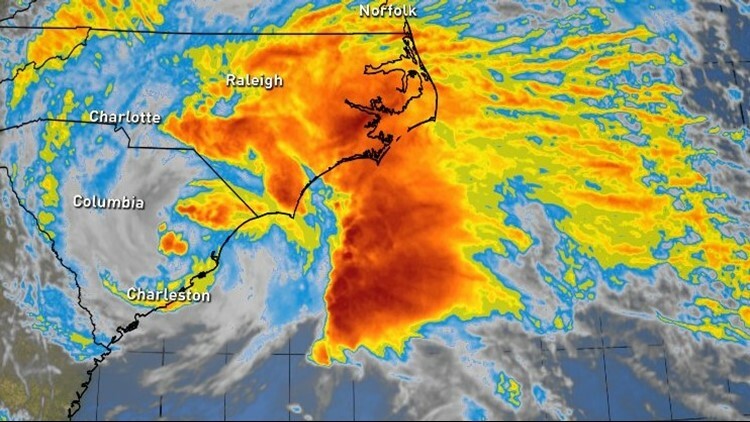 As Tropical Storm Florence moves through North Carolina after making landfall as a Category 1 storm, the 11Alive StormTrackers will keep you up to date with the latest information about where it is headed and what you need to know about its current path. Florence makes landfall as a Category 1 hurricane and continues its westward through the Carolinas. Mobile and app users - tap here if you cannot see the image below. Each line represents a computer model and its best "guess" as to where the center of the storm will go. 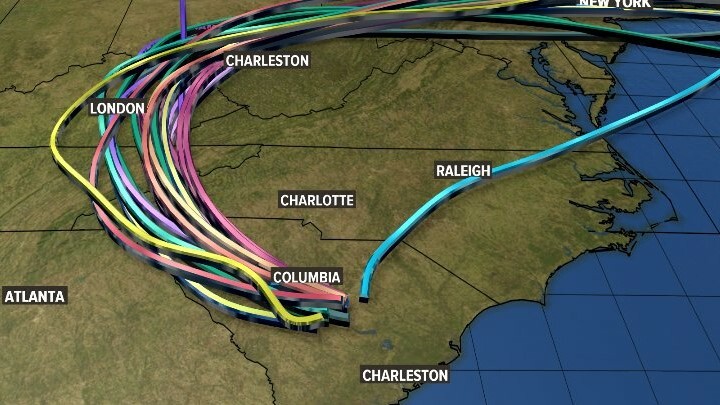 When plotted together on a map, the flowing together of the multiple models appear like strands of spaghetti -- hence the name, "spaghetti models." Download the FREE 11Alive News app to receive breaking alerts and subscribe to our newsletter for email updates. Click here for the latest forecast from the 11Alive StormTrackers. 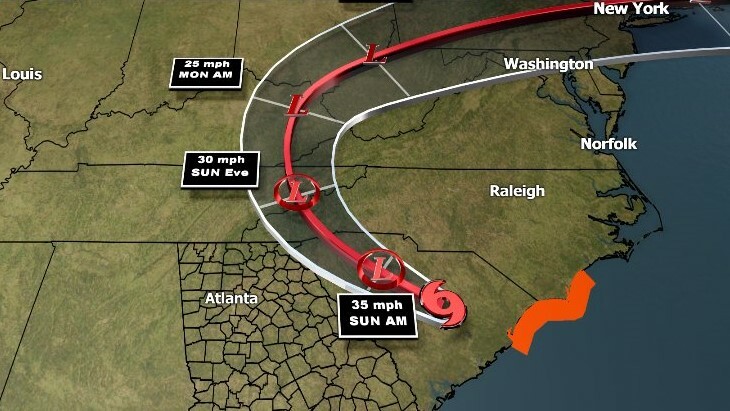 Hurricane Florence is projected to through the coastal area of the Carolinas after making landfall Friday morning. 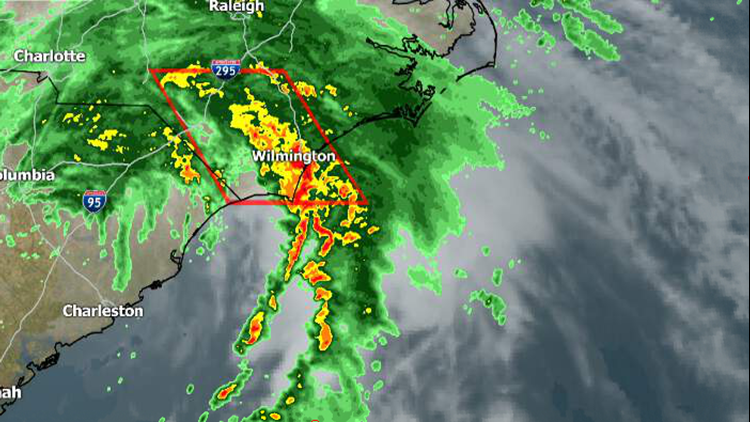 The latest Radar image for the Carolinas, showing Tropical Storm Florence. A threat for tornadoes will continue in the outer bands on the north side of the storm. In many areas, the flooding may be considered life-threatening as it may cause extended flash flooding with little or no warning. Landslides and falling trees or power lines may pose an additional risk in some areas. 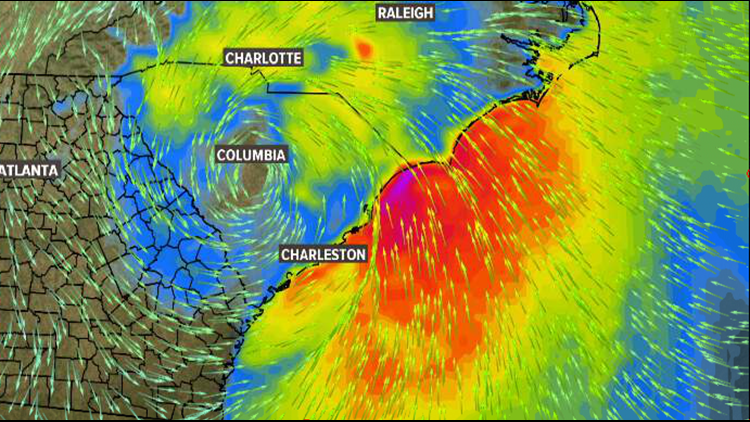 Wind threats will be higher along the Georgia-South Carolina line.